Party Central Artists consist of the very best Disc Jockeys, Emcees, Dancers, Musicians, Artists, Performers and Crowd Motivators. We are very selective when choosing our talent. Our DJ’s have an extensive knowledge of all styles of music genres, enabling them to play a variety of music that keeps everybody on their feet. Your DJ will be a complete professional; they’re Announcers, Master of Ceremonies, Music Programmers, Audio Technicians, Lighting Technicians, Event Coordinators, Entertainers and more. He or she will know your music preferences, key contacts, timing, and your venue location particulars. Your DJ will coordinate with all other vendors on site to discuss details, such as key photo opportunities, caterer services, etc. All while dancing and mixing the wax! Our entertainers love what they do and it shows! This person takes your DJ entertainment up a level. They are trained professional Party Motivators and Announcers. 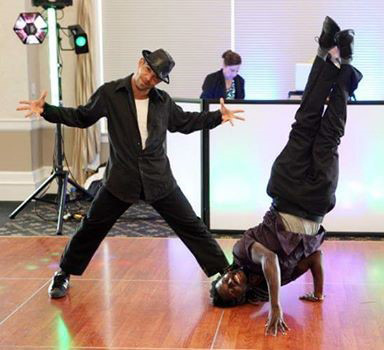 They lead games, line dances and create energy; they have an immediate impact to your dance floor and guests. Interaction between DJ and Emcee ensures smooth transitions and keeps your party flow going. Our dancers are the most energetic trained professionals, with educations and backgrounds in Tap, Jazz, Modern Dance, Ballet, and/or Gymnastics. They’re able to translate their natural abilities into a kind of dancing that brings out the fun in your guests. Our Dancers are always appropriately dressed. 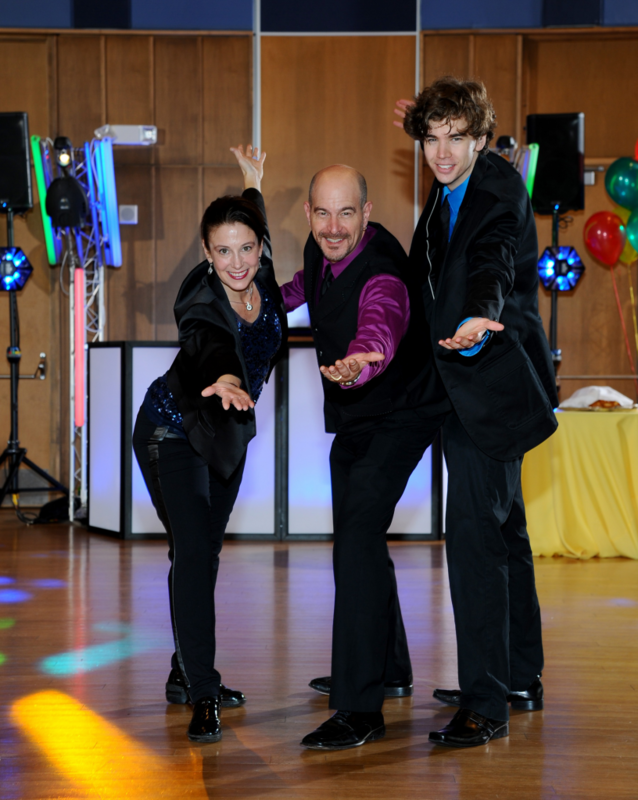 Dancers add depth and energy to your dance floor and your party. Totally hip, totally cool! “In the Mix” gives you the volume control and music selection of a DJ with the incredible feeling of great live music! “In the Mix” is a non-stop party of Funk, Rock, Dance, Blues, Soul/Motown, Hip Hop, R&B, and Acid Jazz. This concept features one of our Pro DJ’s, the live sounds of a Horn/Trumpet player, a Percussion player, a Tenor/Alto Sax player, and/or a Ripping Guitar player. The musicians play riffs, fills, solos and jam right with your favorite songs. Our DJ’s have an extensive knowledge of all styles of music genres, enabling them to play a variety of music that keeps everybody on their feet. Party Central is bringing it to you live!